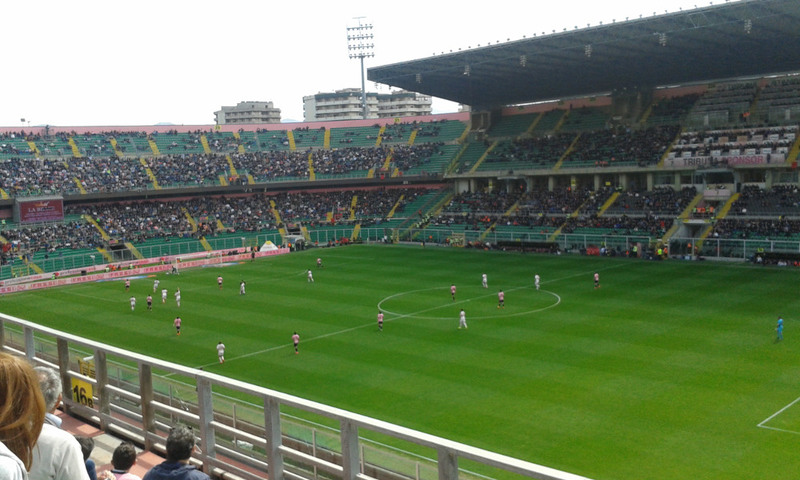 Stadio Renzo Barbera opened on 24 January 1932 with a match between Palermo and Atalanta (5-1). It initially only consisted of two stands on both sides and had an athletics track circling the pitch. The stadium was first called Stadio Littorio, but soon changed names to Stadio Michele Marrone, a fallen war hero of the Spanish war. After the fall of the fascist regime, it changed names again, this time to La Favorita. 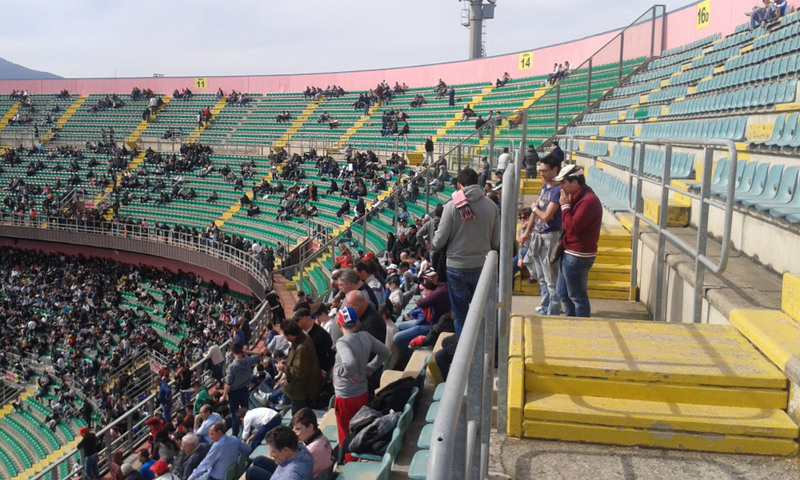 Stadio La Favorita underwent its first major redevelopment in 1948 when the athletics track got removed and both curves got built. This resulted in a capacity of about 30,000. The stadium underwent a second major redevelopment in 1984 when a second tier got added, raising capacity to just under 50,000. 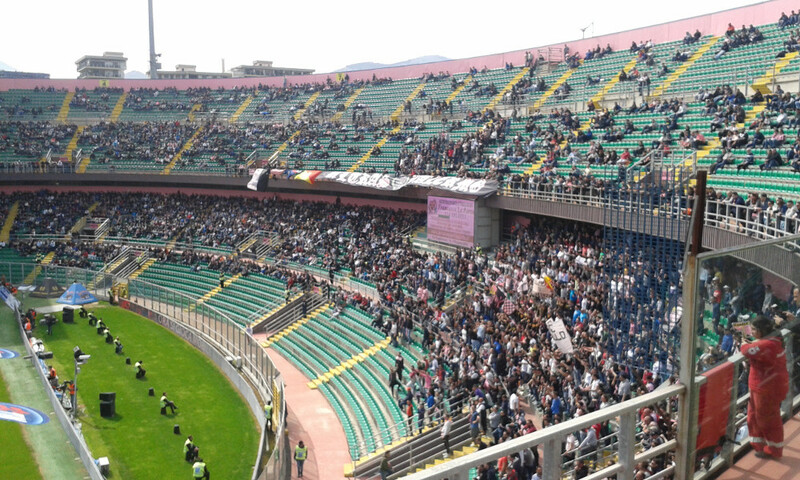 Perhaps too ambitious, as Palermo failed to make the jump to Serie A and therefore only sold out twice in the following years. With the perspective of the 1990 World Cup, the second tier got further extended, though capacity dropped as seating was installed in place of standing areas. During the works, 5 workers lost their lives when part of a stand collapsed. 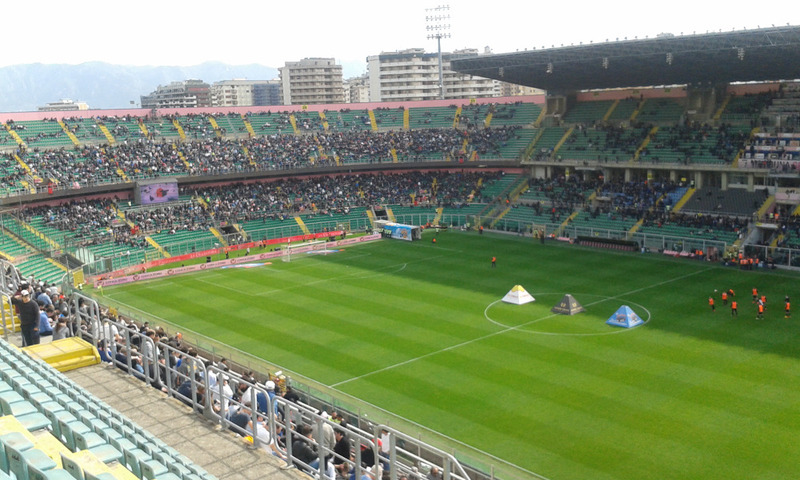 Stadio La Favorita hosted three group matches during the 1990 World Cup. No major renovations have been performed in the decades since, though the stadium received some small upgrades to comply with UEFA requirements. 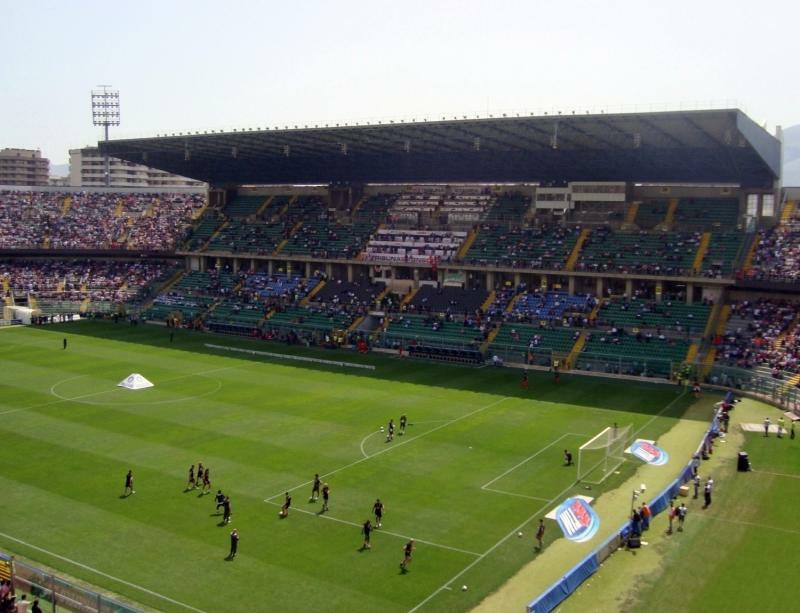 In 2002, the stadium was renamed Stadio Renzo Barbera in honour of a former club president. 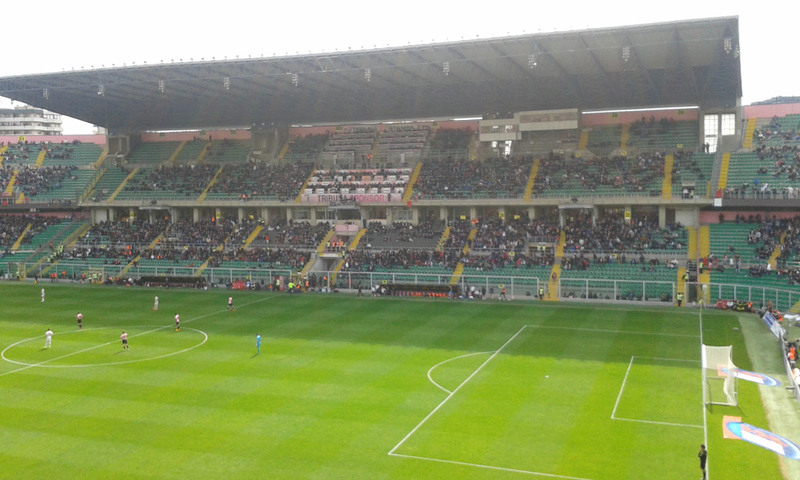 These days, Stadio Renzo Barbera has significantly aged and cannot meet modern requirements. 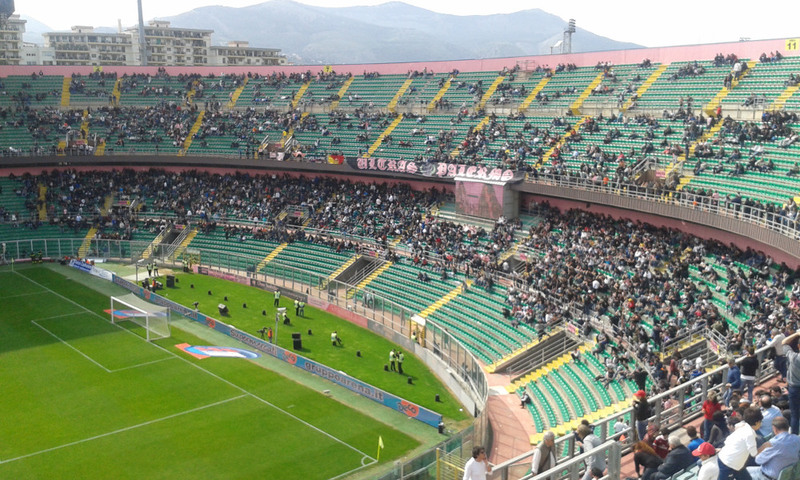 Palermo therefore recently presented plans for the construction of a new 35,000-seater stadium, tentatively dubbed Stadio di Palermo. The club is currently in talks with the local authorities, but no clear schedule has been provided. 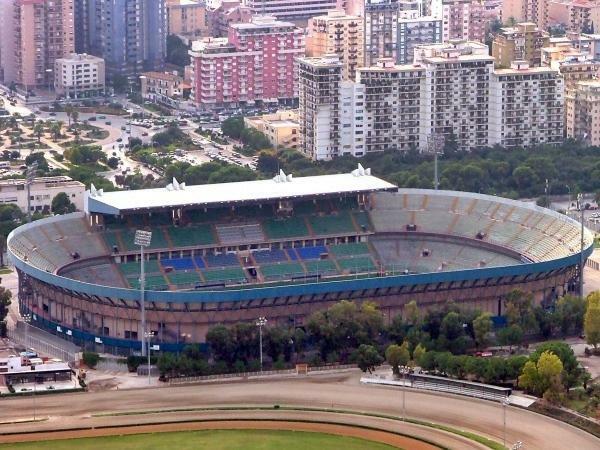 Stadio Renzo Barbera is located in the north of Palermo at about 3.5 kilometres from its historic city centre, 3 kilometres from the port, and just over 5 kilometres from the central railway station. Beach area Mondello lies about 6 kilometres further north. It’s a long, but pleasant walk from the historic city centre following the wide and leafy Via della Liberta north to the stadium. It will take you roughly 45 minutes from Piazza Castelnuovo in the centre. If arriving by car from the E30 Viale della Regione Siciliana, exit at the Via Belgio and turn east into town (signs to Stadio La Favorita). After a few hundred metres turn right onto the Via Empedocle Restivo, and soon after left onto the Via Alcide de Gasperi. The stadium lies in front of you. 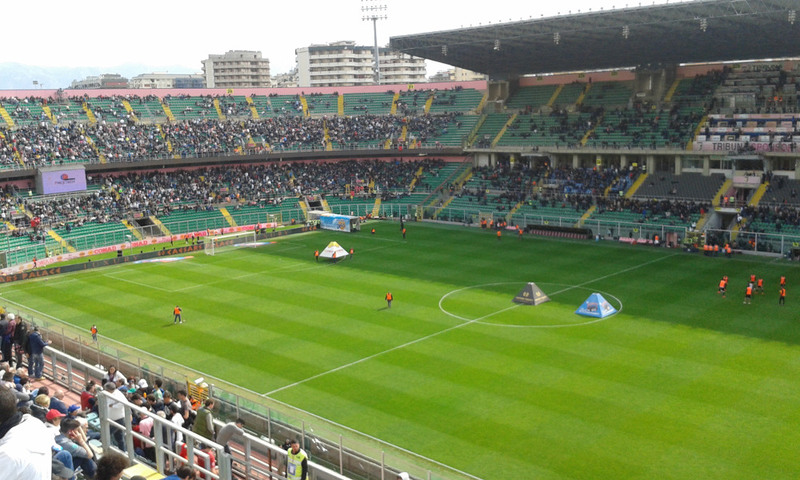 If using public transport, Stadio Renzo Barbera can be reached with bus 101. Get on the bus at Stazione Centrale or at the Via Roma in the direction of Stadio. Buses leave almost every 5 minutes. Bus 107 follows an almost similar route but goes less regular. Line 614 and 615 connect the stadium with Mondello. 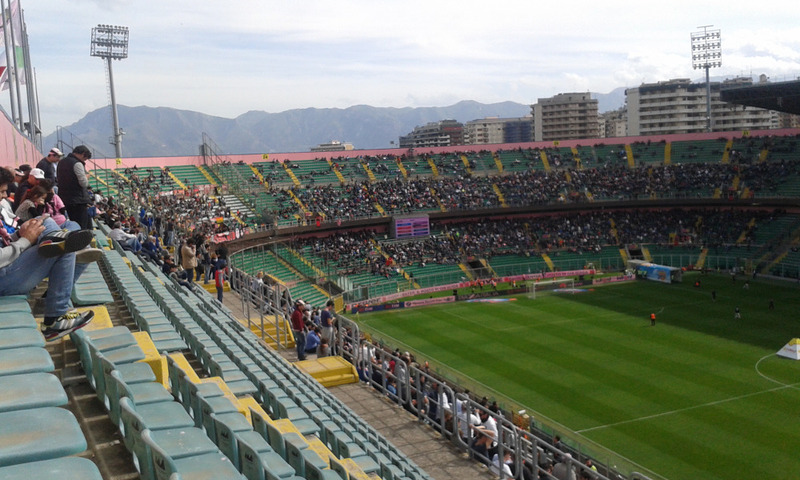 Tickets for Palermo games can be bought online, at any of the Lottomatica sales points (e.g. at the Via Vittorio Emanuele 106, Via Dante 26 and Piazza Guiseppe Verdi 1/S), or at the ticket windows of the stadium. Tickets can also be bought on the gate from two hours before the match. 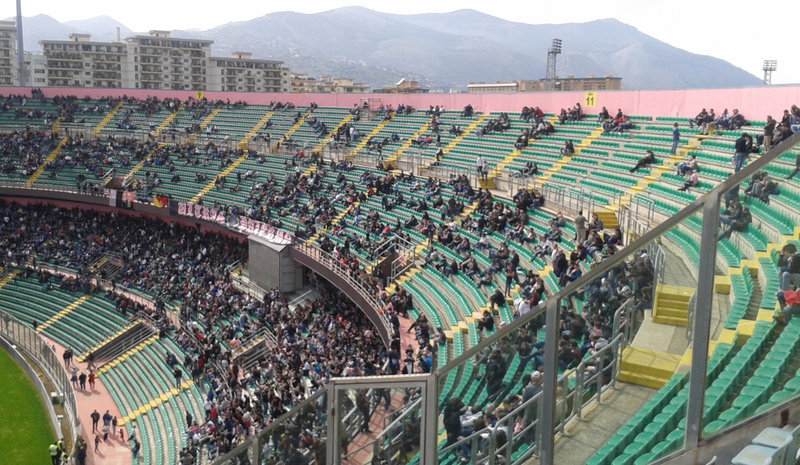 Palermo hardly ever sell out. Ticket prices range from €9.00 for a seat at one of the curves to €95.00 for a central seat at the main stand. Other seats at the long sides go for between €12.00 and €50.00. Palermocalcio.it – Official website of US Palermo. Amat.pa.it – Palermo public transport information.